Long Equipment/Material Description: These ties are sold in bundles of 25 (approximately 6,000 lbs per bundle) and bundles will not be broken. The ties range in condition and are sold "as is - where is." 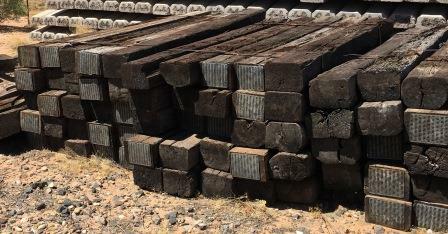 They were removed from the railroad track and can be picked up at Page Steel in Page, AZ. Proper trailer, in good condition, is required. 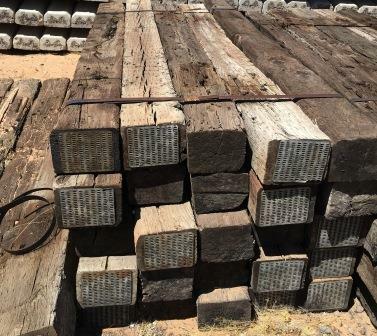 If, for any reason, Page Steel is unwilling to load the ties due to the trailer condition, the sale will be cancelled and all monies paid forfeit. Please contact Kelly May with any questions or concerns prior to purchasing. Scheduling for pickup is required. 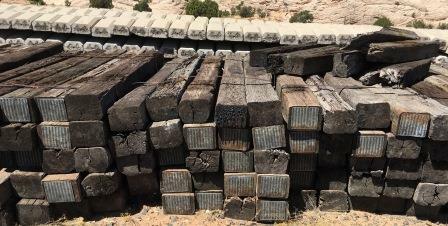 Also, ties should not be used near play areas or where food is stored/consumed and when the rail ties have reached the end of their life or you no longer have a use for them, they must be disposed of in a responsible and EPA-approved manner.